this Blueprint will Change Your Business in a big way. 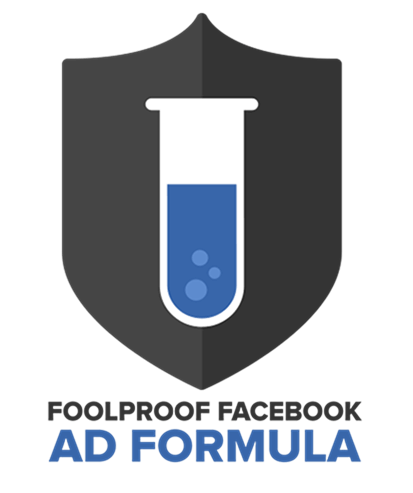 What’s Inside of My “Foolproof Facebook Ad Formula”? 6 Power Pieces that you must focus on in order to create an ad that is a little “odd”. This simple ad creative formula makes ads that are shareable and hard not to click on. Yes… This Type of Ad Creative makes People want to SHARE Your Ad. I’ll show you the powerful psychological triggers that I use when selecting an ad image. Doing this will take a few extra minutes when you look for an ad image, but the results make it worth it in a big way. Most people don’t realize how much this little image matters to your ad. When you shift how you use this image, however, you’ll notice a big spike in engagement because people stop feeling marketed to. I’ll show you the simple reason why “less is more” when writing the text that surrounds your ad. I’ll show you why my ads get a ton of likes, comments, and shares, while most people can’t even get link clicks. I’ll also walk you through why getting likes, comments and shares is extremely important to your ad spend going down. How to Put It All Together in 1 Ad. You’ll learn how to put everything you learn about my ad formula together to create an ad that plays perfectly into Facebook’s Ad Algorithm. What’s Inside the Advanced Package? You Get Everything Inside of Foolproof Facebook Ads and you’ll also get access to a my Proprietary “Facebook Ad Targeting Formula”. When you use the Foolproof Ad Formula with the Foolproof Targeting Formula you’ll see the real secret behind why I pay 50% less for my ads than most people on the planet. My 3 Part Facebook Ad Targeting Technique. My Secret Weapon: Buyer Intent Targeting. How to Combine all 3 for Rock Bottom Ad Spend and Maximum Conversions. This simple 3 Part Facebook Ad Targeting Method has been a secret weapon for myself and my mastermind members for months and now you can get access to it for your business.